The Freed Astaire Patent Ballroom Shoe is possibly our most popular and most frequently purchased Men’s Ballroom shoe at Duo Dance London. This Standard Ballroom shoe comes in a G+ fitting making it a perfect shoe for the wider foot. A classic, traditional looking Ballroom shoe with good support and padded insoles making the Freed Astaire a popular choice with both Professional and social dancers. 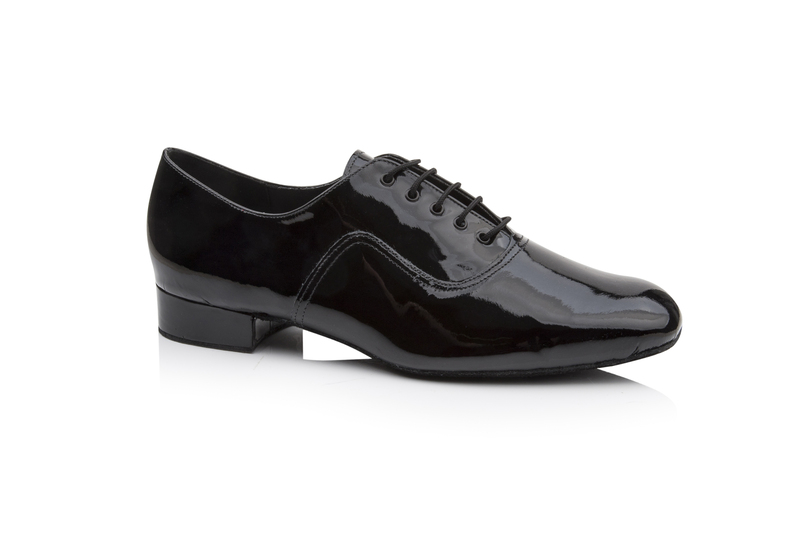 The Astaire in Black Patent is particularly suitable for Competitions and Medal examinations. The Astaire Patent Ballroom Shoe is a classic round toed shoe with a double stitched feature curving around the front of the shoe. Please note that it is a WIDE shoe coming in G+ fitting. The design is classic and traditional and is available in a Black Leather and Black Patent finish – see Freed of London Astaire in Leather. 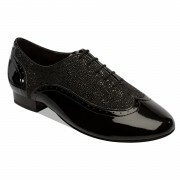 The shoe is available in UK sizes 5 -12, including half sizes, has a 1″ standard Ballroom heel and a full sole. G+ fit for a wider foot. Full sole providing support and stability to the foot.